Time: March 1st, 2018 @ 7:00PM. 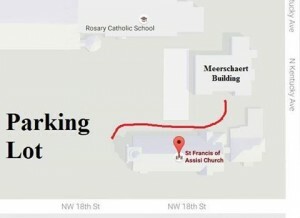 Location: St Francis of Assisi Church 3rd floor of the Meerschaert house. Have you ever wondered how the Catholic traditions of celebrating the Triduum came about? I guess you could say it’s a 3-in-1 deal: Three nights, one event, plus…Palm Sunday! Retired U.S. Navy chaplain Fr. Philip Creider, a hermit priest serving the Archdiocese of Oklahoma City, has prepared a presentation on the history of Holy Week and wants to share it with us for this month’s Catholic Conversations. Fr. Creider only leaves his home once or twice a month, so it is really an honor for us to have him as our guest. 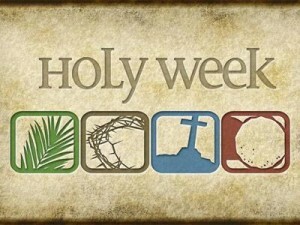 Come join us and learn about the liturgies of the best week ever. 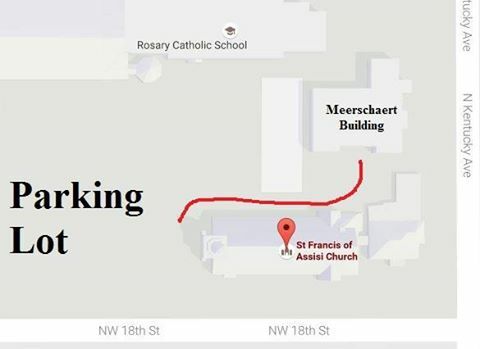 We will meet at St. Francis of Assisi on the 3rd floor of the Meerschaert house! 02/15/2018 Theology on Tap! Dating and Relationships! Time: February 15th, 2018 @ 6:45PM. Happy St. Valentine’s Day CYA! We hope you all have a great start to Lent, which begins on Valentine’s Day this year! In honor of this, we decided it would be apropos to have this month’s talk on dating and relationships! Come join us as Frank Cleary, youth director at St. Philip Neri Catholic Church, husband, father of three, and St. Louis Cardinals fan gives a Catholic perspective on dating and relationships in the face of our society’s current dating culture. As always, come early at 6:45 for food and fellowship and then Frank will begin his talk at 7:30 and wrap up around 8:30 for questions. There will be adoration available during, before, and after the event at St. Josephs! Please talk to (or text/call) Dominic Hoang (405.204.1012) or Leah Cote (949.923.9018) if you need the door code to St. Josephs! See you all then!!! 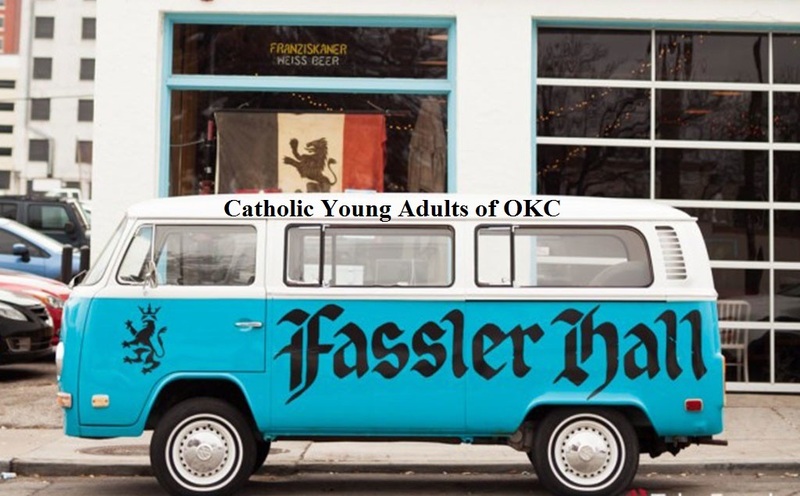 02/08/2018 CYA Social @ Fassler Hall! Time: Thursday February 8th, 2018 @ 7PM. Come on out and learn about the Catholic Young Adult community and let us spread the good news, together! 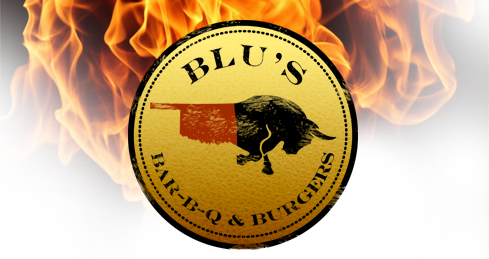 Join us for awesome fellowship, food, and drink! 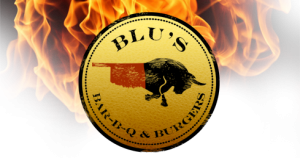 This is a great event to meet great people and relax a bit! We all need some of that, right! 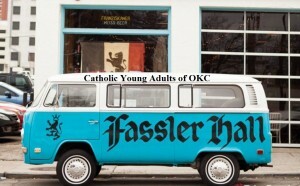 See you all at Fassler! P.S. bring those awesome vocals if you would like to partake in KARAOKE! As usual there will be adoration available from 6pm through the evening at St. Josephs Old Cathedral (just a mile or so from Fassler)! If you are interested, please contact Dominic Hoang (405-204-1012) or Calvin Brown (405-543-4331) and one of us will give you the code to enter the church!